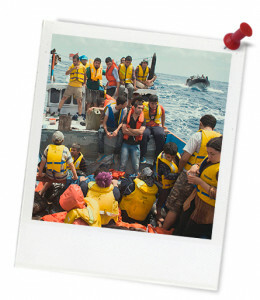 Quick summary: Students examine issues associated with people seeking asylum and offshore detention policies by studying reflective voices, and how personal experience is communicated through reflective language. Using a variety of thinking and analytical tools, students refine their knowledge and skills by evaluating the reflective, emotive and personal language in text and enhance their understanding of the power of language. Students will understand the multi-faceted nature of reflective texts and how purpose and context influences language choices in texts. Students will be able to evaluate the use of language to construct meaning in reflective texts and influence audiences. Students will be able to analyse and make evaluative judgements about the effectiveness of reflective texts in positioning audiences. Resources required: Student Worksheet – one copy per student OR computers/tablets to access the online worksheet. Device capable of presenting a website to the class. Highlighters for annotation of transcript/printed material. Reflective Texts Factsheet. Tan Le – Background information and talk transcript. Keywords: Asylum, refugee, perspectives, advocacy, reflection, journey, identity, language. Overarching learning goal: This Finding Out lesson is designed to engage students with the concept of reflective language. 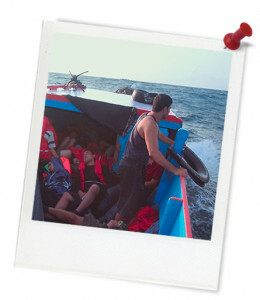 Students will engage in critical thinking around how reflective voices communicating personal experiences of seeking asylum and offshore detention policies can have powerful impacts on audiences. By examining reflective language and structures in specific texts, students will deepen their understanding of how language can be used in emotive ways to shape audiences' responses to issues surrounding refugees and people seeking asylum. Thought starter: What can we learn from our own or other people’s reflections? Watch the following clips from Chasing Asylum and complete the table below. Pay close attention to the language choices and structures (indicated in the table) used by interviewees.